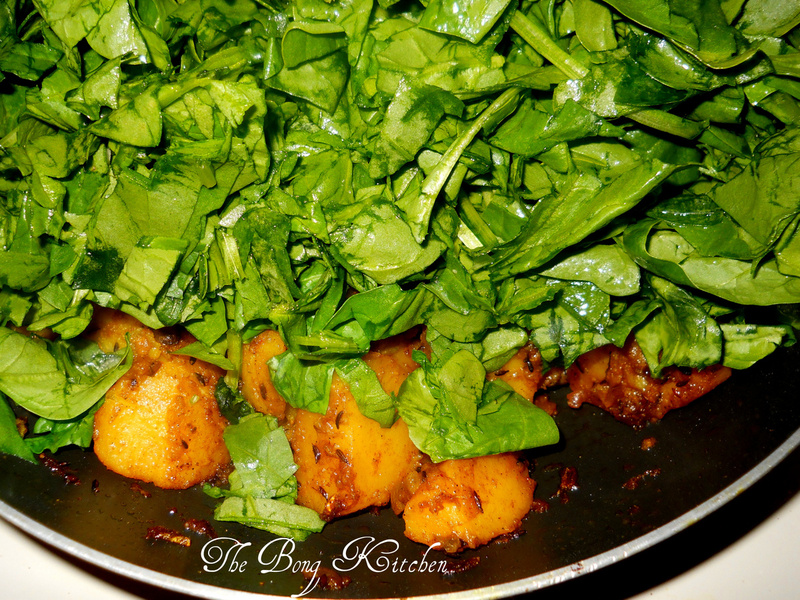 Heat a heavy bottom pan or kadhai, add the cumin seeds, once they start to splutter, add the onion and the green chillies and saute for a while, then add the ginger the paste, continue to saute. 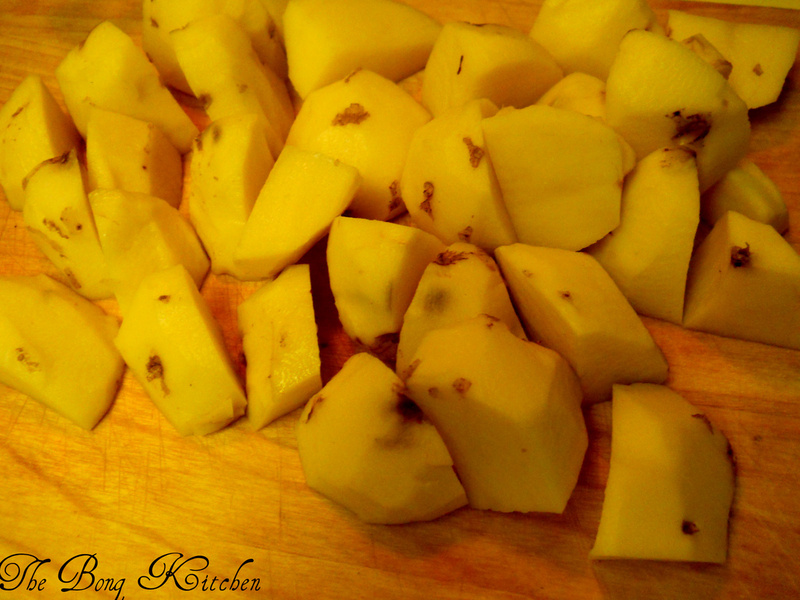 Next add potato cubes & a tsp of salt & mix well. 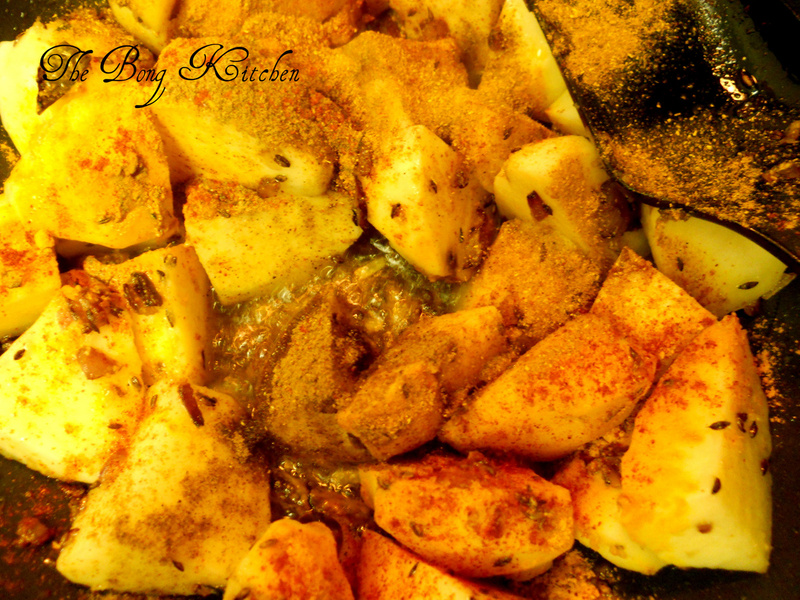 Add the turmeric and the garam masala and the red chilly powder. 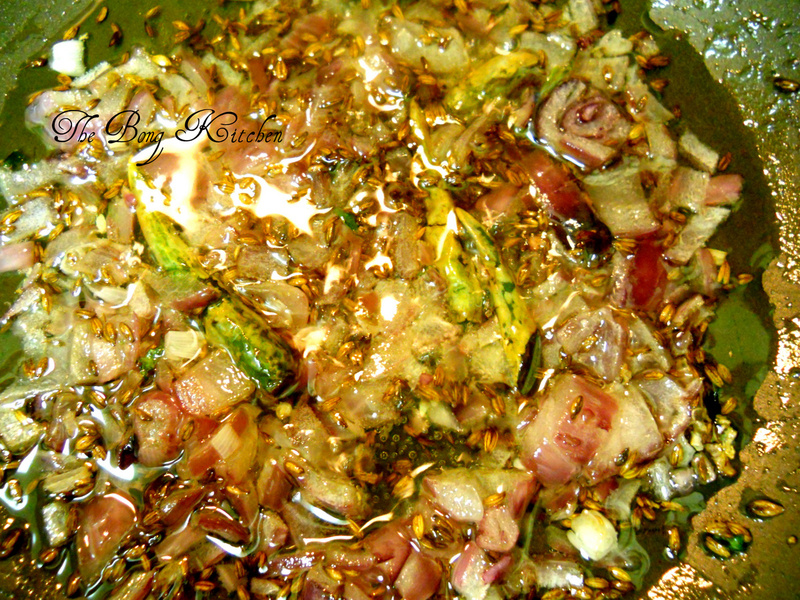 Cover with a lid, & let it cook on medium flame. Keep stirring in between to avoid the potatoes from getting burnt. 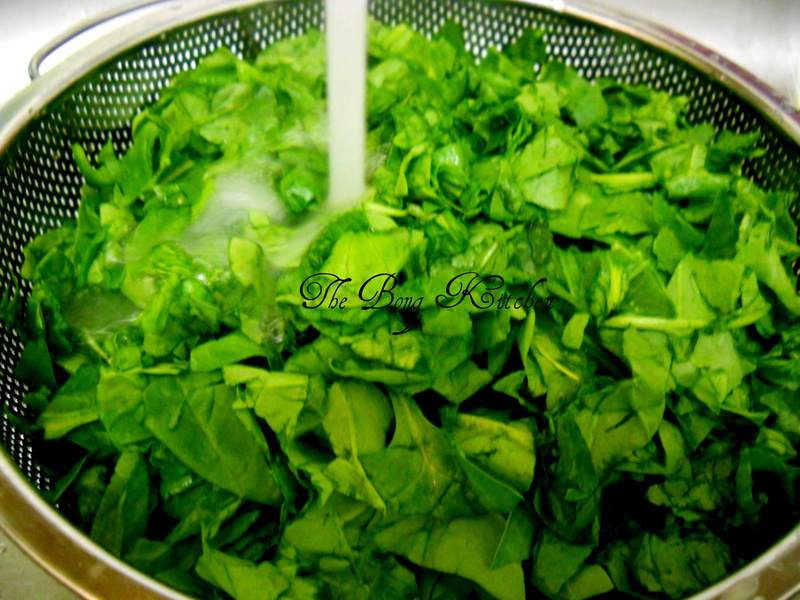 When the potatoes are half cooked, add chopped spinach & add about 2 tbsp of sugar, this retains the colour of the spinach. 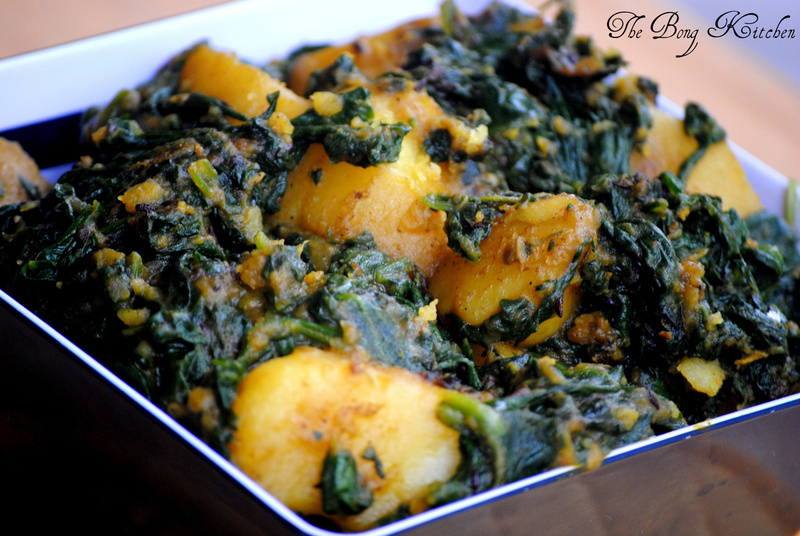 Once the spinach leaves are wilted & potatoes are completely cooked . 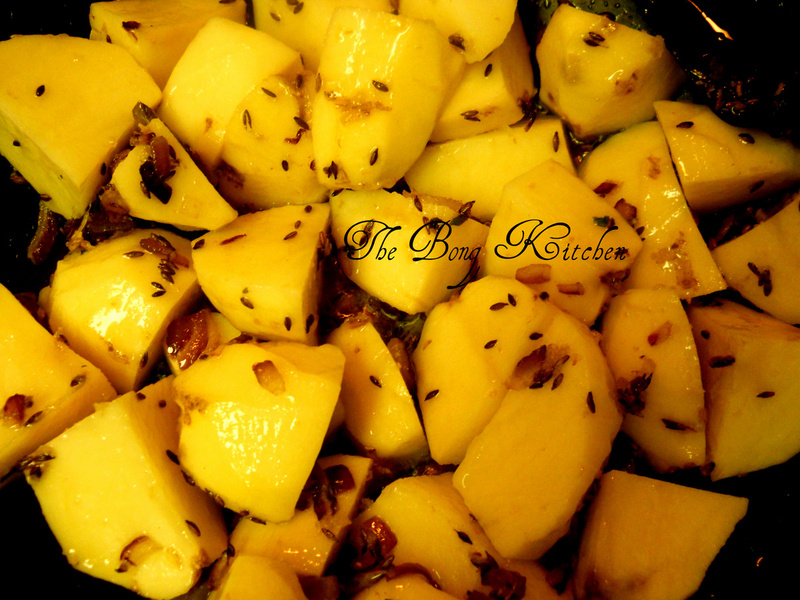 Serve with warm rotis. 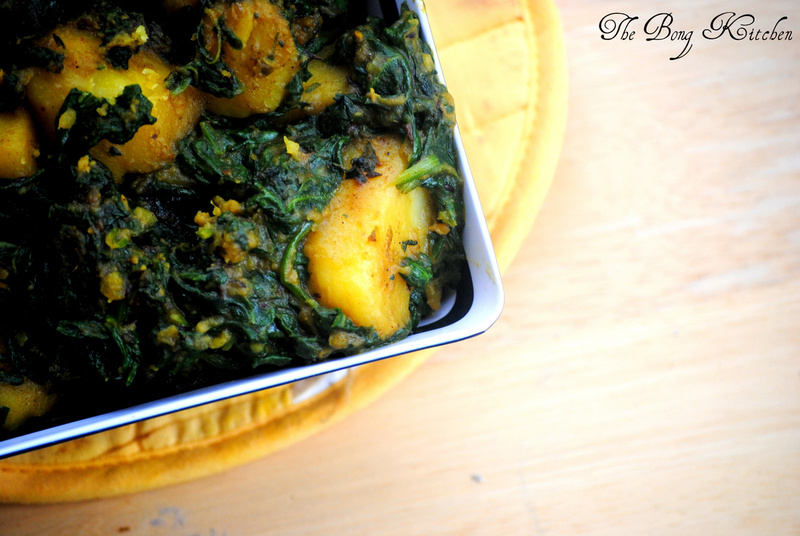 I love aloo palak and this sounds like a great version!